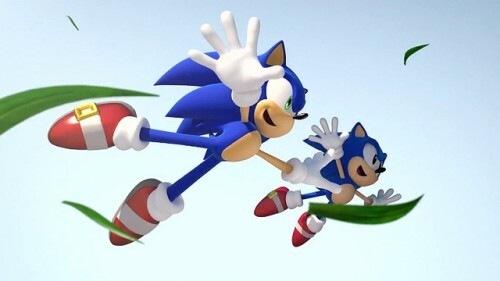 Generations speeding into one, with Sonic Generations. Take an early look of the game, celebrating 20 years of the blue blur with this awesome E3 2011 demo. Old wives tales describe that the traditional gift you should give someone when celebrating a 20th anniversary is china, and no, not the country, the kind you serve cake on. That might sound practical and all for married couples, but then what kind of lame gift would that be if Sega gave it’s fans a bunch of dishware to celebrate 20 years of their beloved blue mascot? 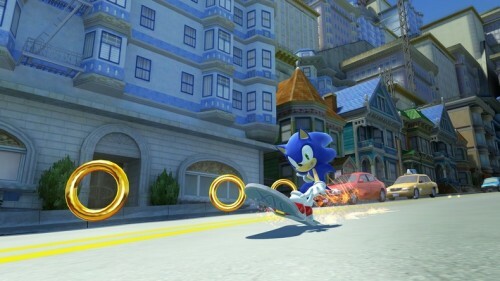 Luckily, they’ve gone a much better route with Sonic Generations (PS3/360) — an upcoming late 2011 title that salutes Sonic the Hedgehog’s proud back-catalog from the Sega Genesis, Sega Dreamcast and onward, re-envisioned in absolutely stunning high def graphics. Although don’t speed off into excitement just yet, because Generations gives its players not just one Sonic to play as, but two! Two Sonics in one! There’s cute chubby “Classic Sonic” (who perhaps needs to lay off the chili-dogs,) and cool sleek “Modern Sonic” (who perhaps needs to eat more of said chilli-dogs.) Both Sonic’s have their own specific play-styles that are split up separately in their own respective levels. Old-school Sonic, being of the age where the third dimension was strictly for drive-thru movies, keeps to two dimensional side scrolling stages, using classic moves like the Spin Attack and Spin Dash. 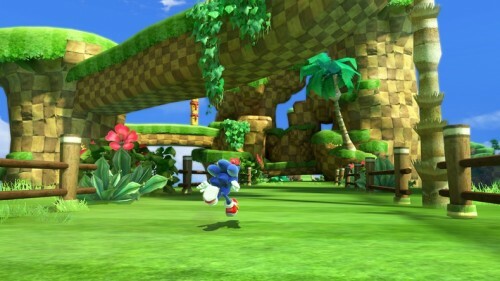 Certainly one of the major things my inner-Sonic fanboy is looking forward to is what classic levels will make their way into Sonic Generations. 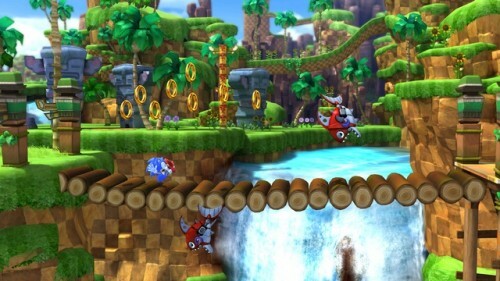 I’m sure by now (or not,) you’ve seen in some pictures and other videos the updated overhaul that was given to Sonic’s first iconic level, Green Hill Zone. Absolutely, bea–u–it–ful! Roll into the video below, which is of a GameSpot stage demo of the game that has both Green Hill Zone & City Escape footage (at the 7 minutes and 9 second mark,) along with some neat commentary from Patrick Riley, Development Director for Sonic Generations. One detail you won’t hear from the video is the possibility of a Sonic Generations demo, most likely the E3 demo build of Green Hill Zone, coming shortly. And not six months from now shortly, but maybe, and its a BIG maybe coming from rumors, within a single months time. Geeze, way to be a tease Sega.